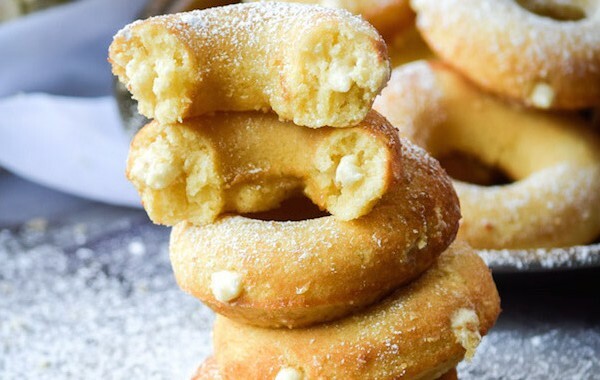 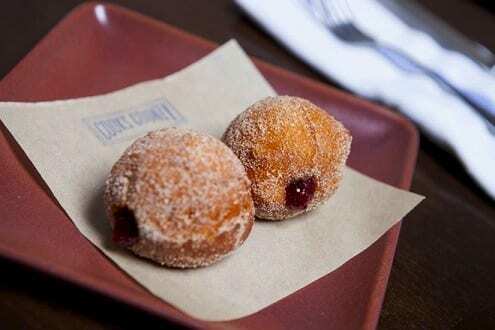 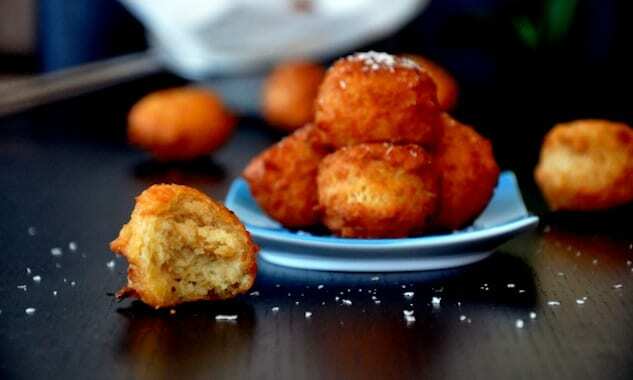 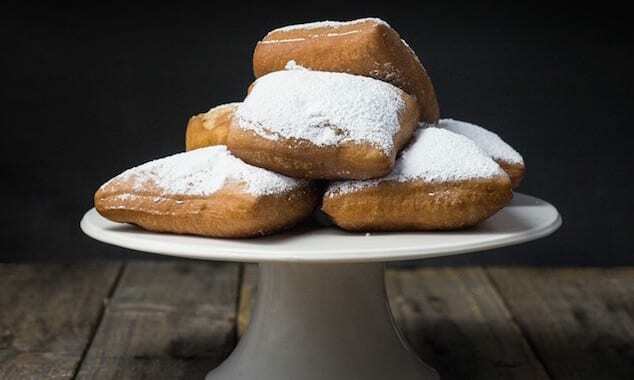 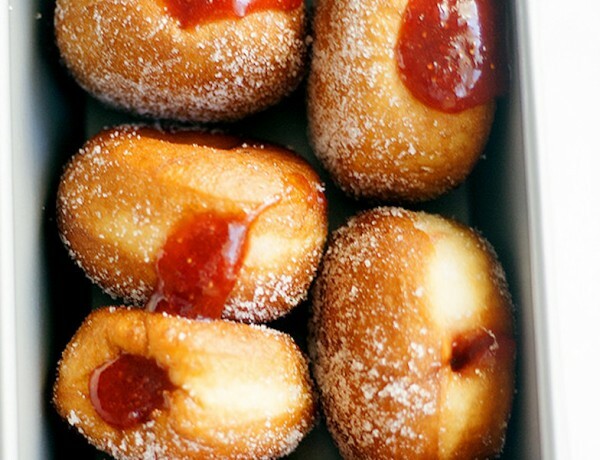 An Italian ricotta doughnut, which in this version is tossed in cinnamon sugar, and then dribbled with honey. 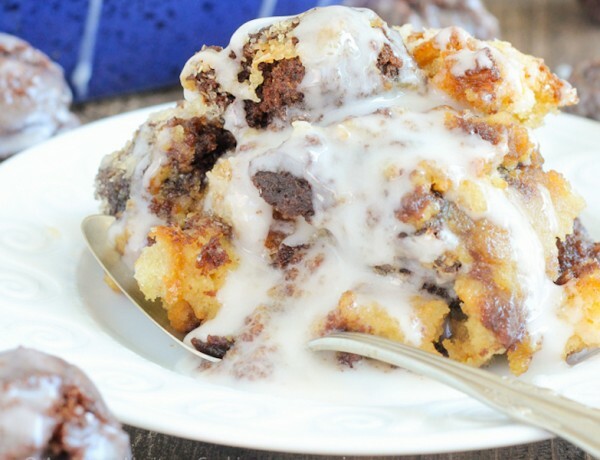 This coffee donut bread pudding takes everything you love about breakfast and bakes it into one easy dish! 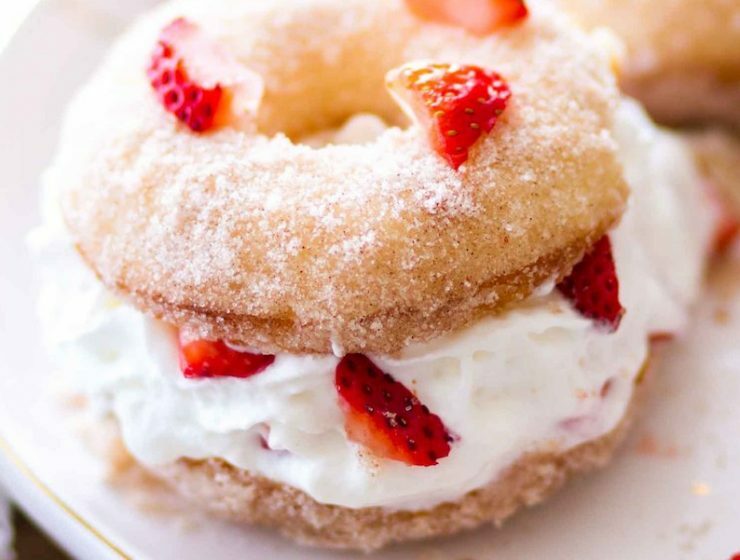 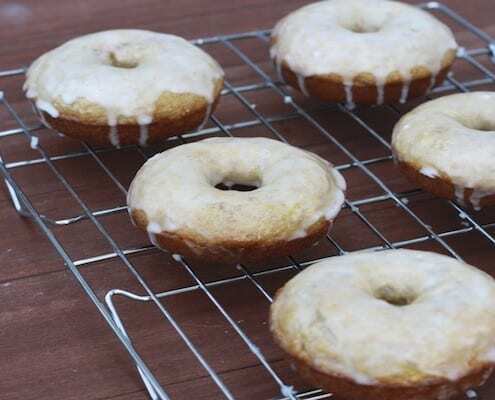 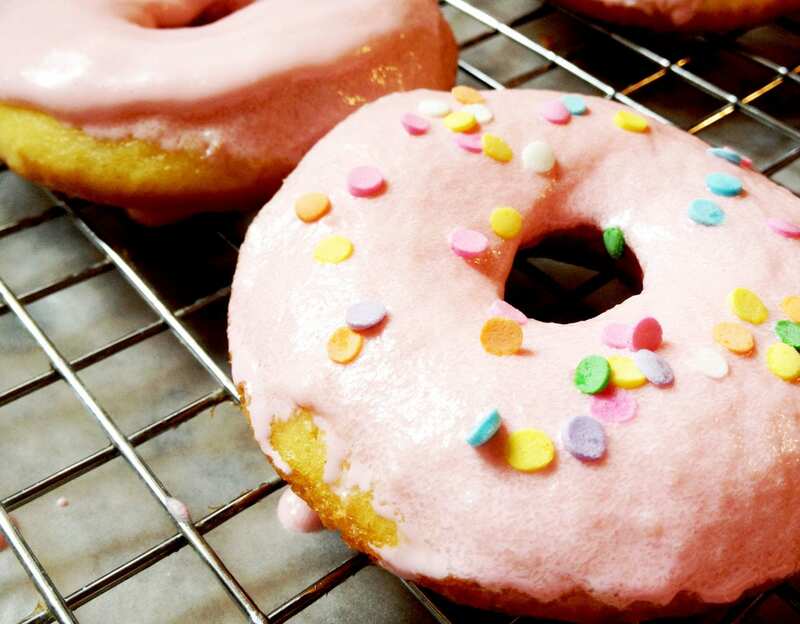 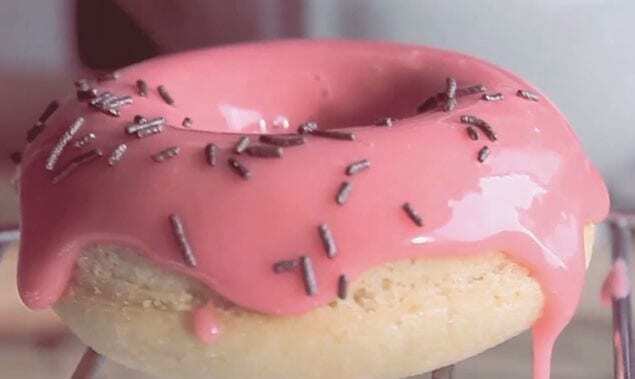 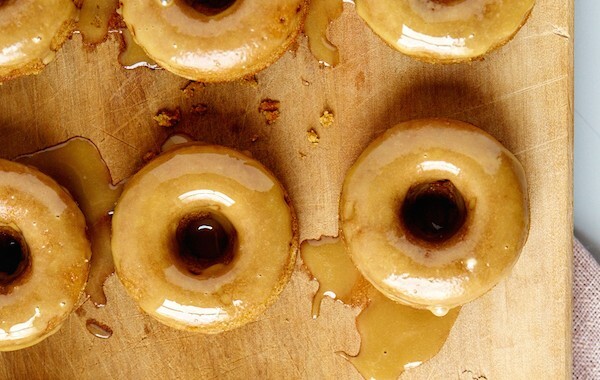 Cake donuts baked in a coffee custard for the perfect addition to brunch! 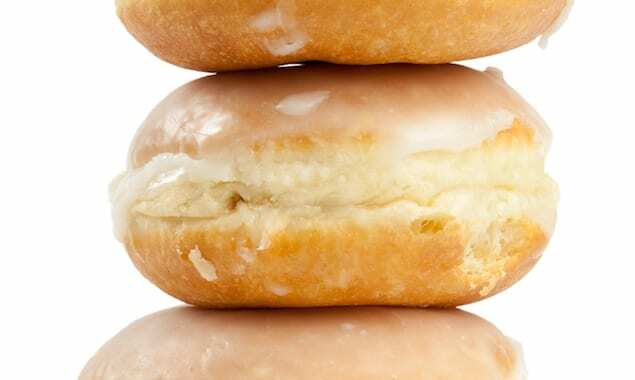 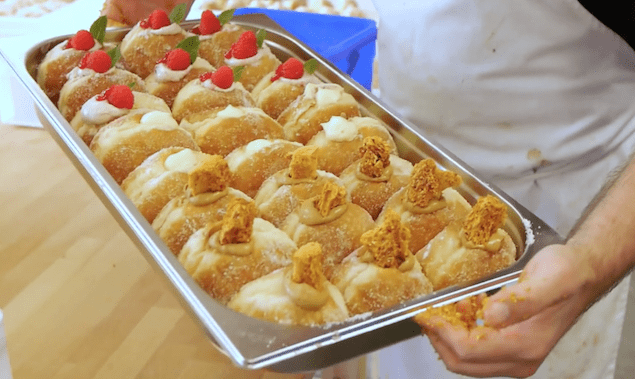 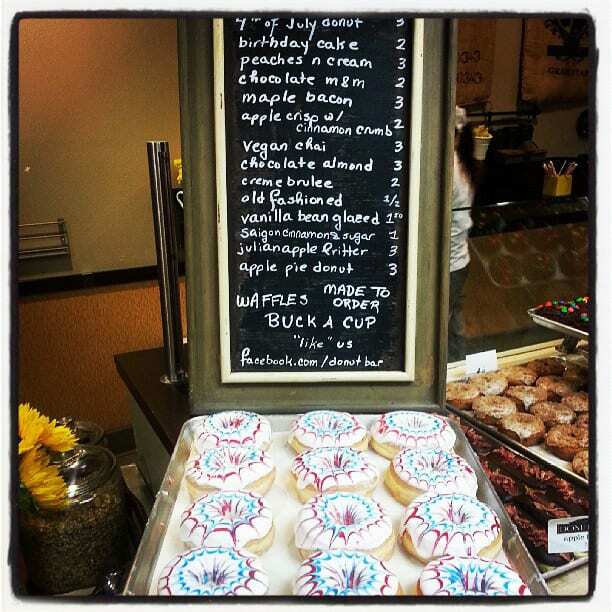 Head baker at Bread Ahead, Justin Gellatly, talks about legendary custard-filled donuts. 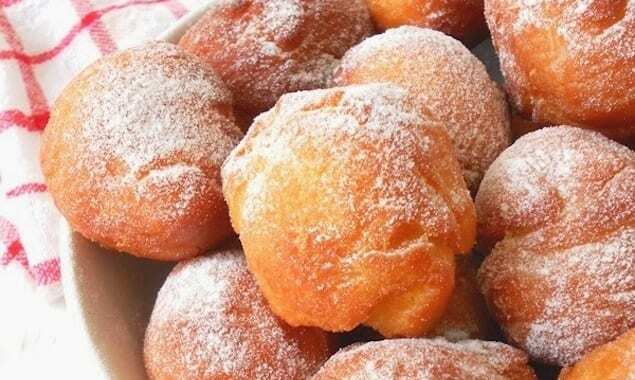 Join in his delight of the treat to take you back to childhood. 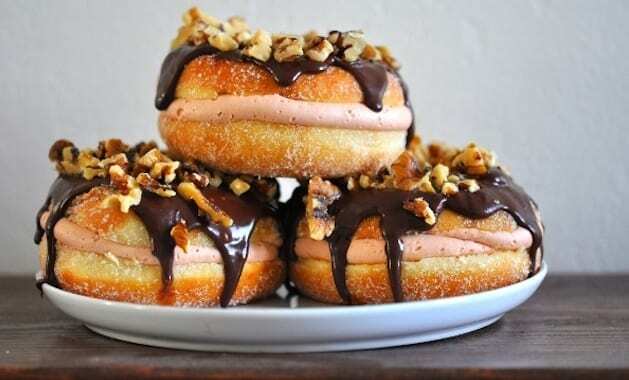 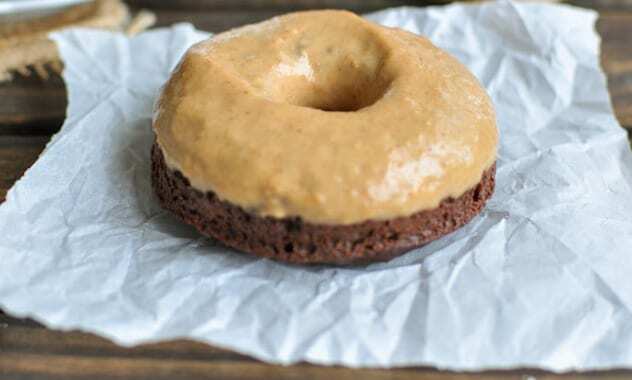 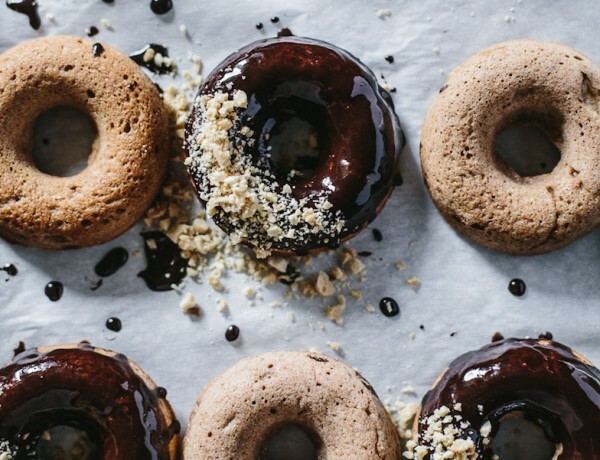 You can’t go wrong with donuts made with classic chocolate and peanut butter combination. 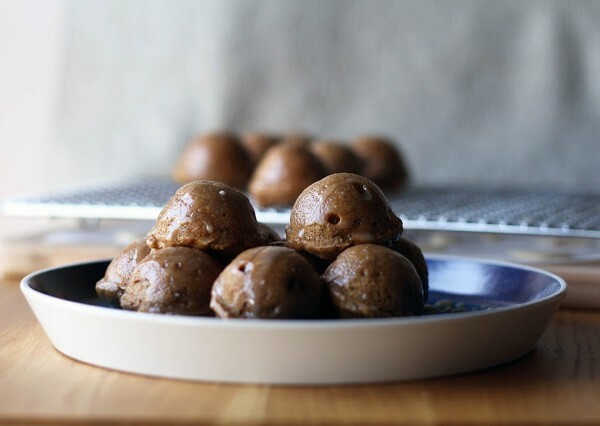 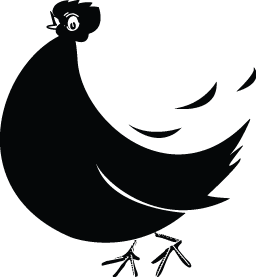 Plus they are made with spelt flour to add even more rich flavor. 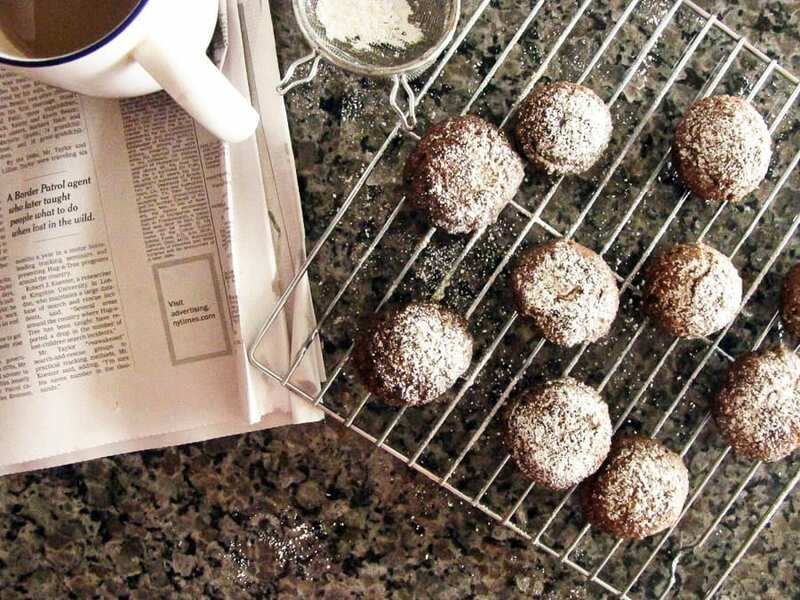 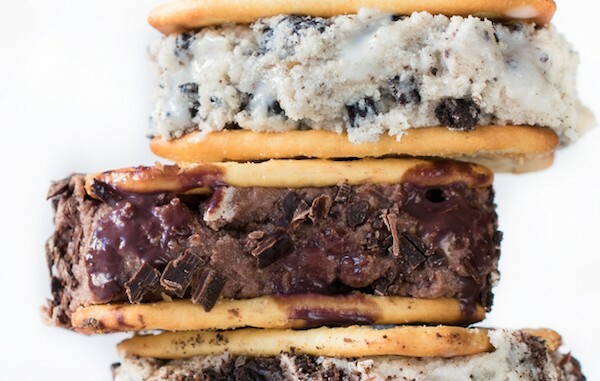 These little guys bake in only five minutes. 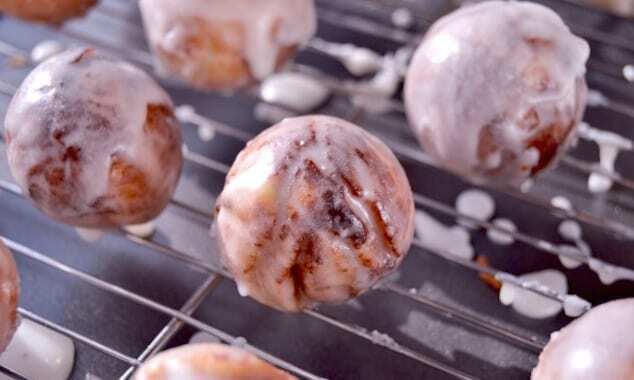 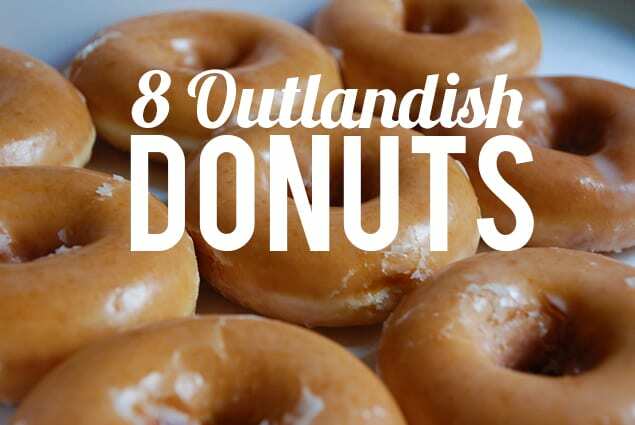 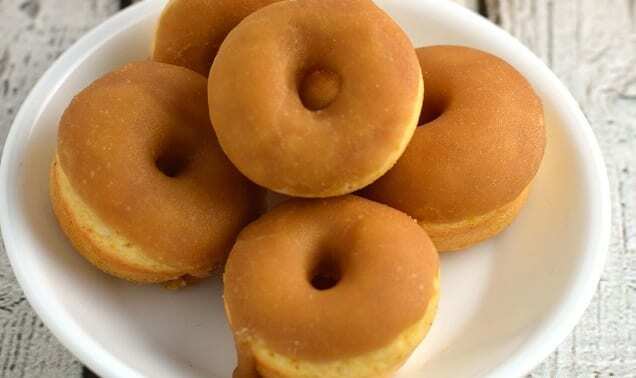 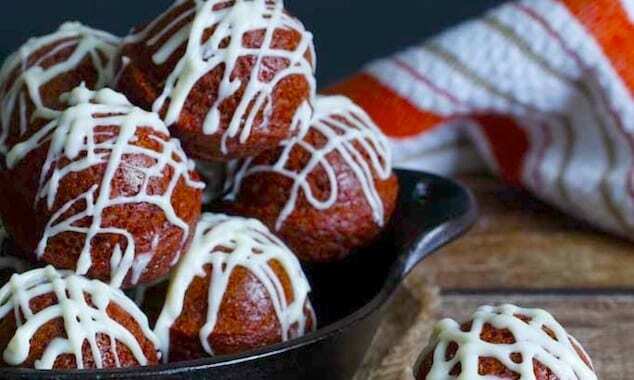 Seriously, in five minutes you will have donuts topped with a smooth maple glaze. 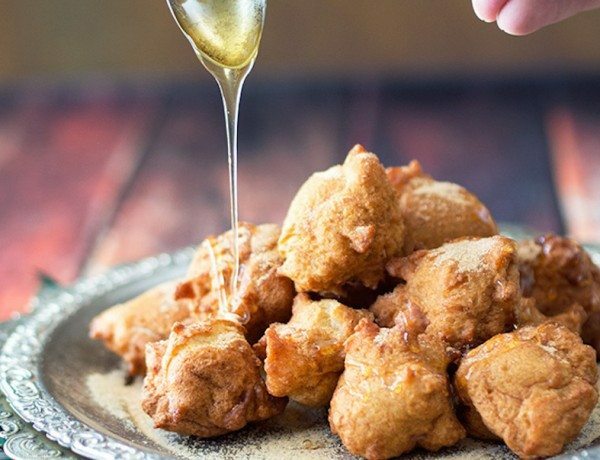 Buttery, rich yeast dough is deep fried and rolled in cinnamon-sugar.They are crisp on the outside, yet so tender and soft inside.